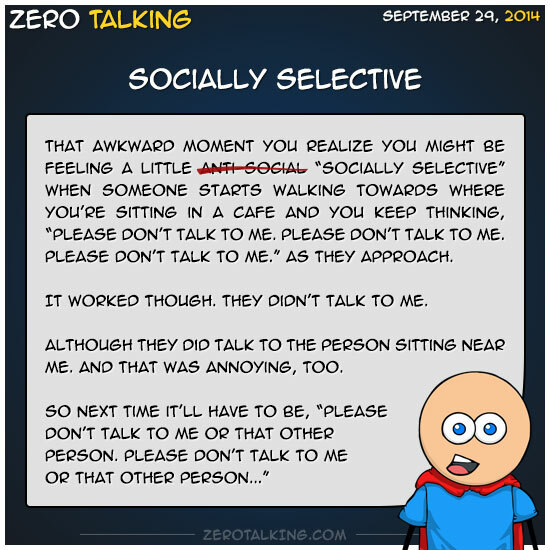 That awkward moment you realize you might be feeling a little anti-social “socially selective” when someone starts walking towards where you’re sitting in a cafe and you keep thinking, “Please don’t talk to me. Please don’t talk to me. Please don’t talk to me.” as they approach. They didn’t talk to me. Although they did talk to the person sitting near me. And that was annoying, too.